These electric heated insoles can heat your foot up to 110 °F, enough to keep even the chronically cold feet warm. 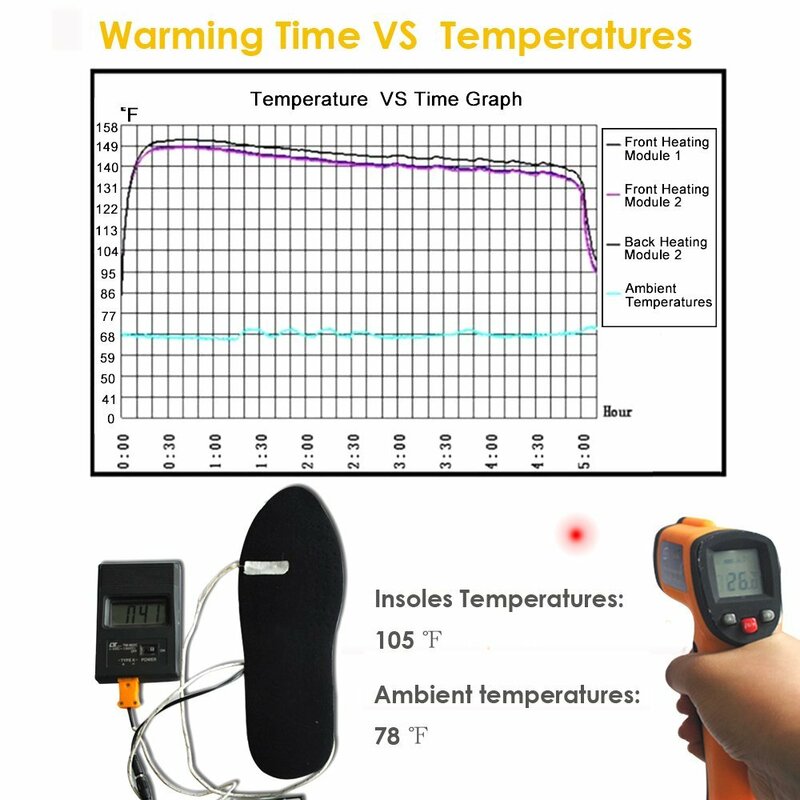 Heated insoles can work great as a standalone product, or paired with electronic socks for maximum benefit. 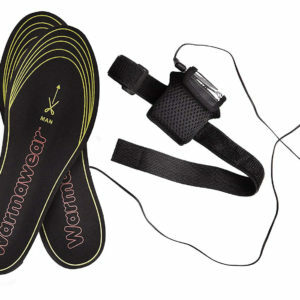 Made from quality materials and in universal size, these electronic insoles by Warmspace are a great choice for any outdoor activity. 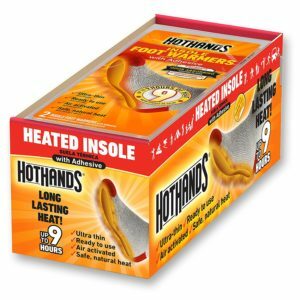 Heated insoles are often a good replacement or alternative to electric socks. 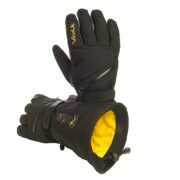 They are easily placed in most shoes or boots and are generally cheaper than heated socks. 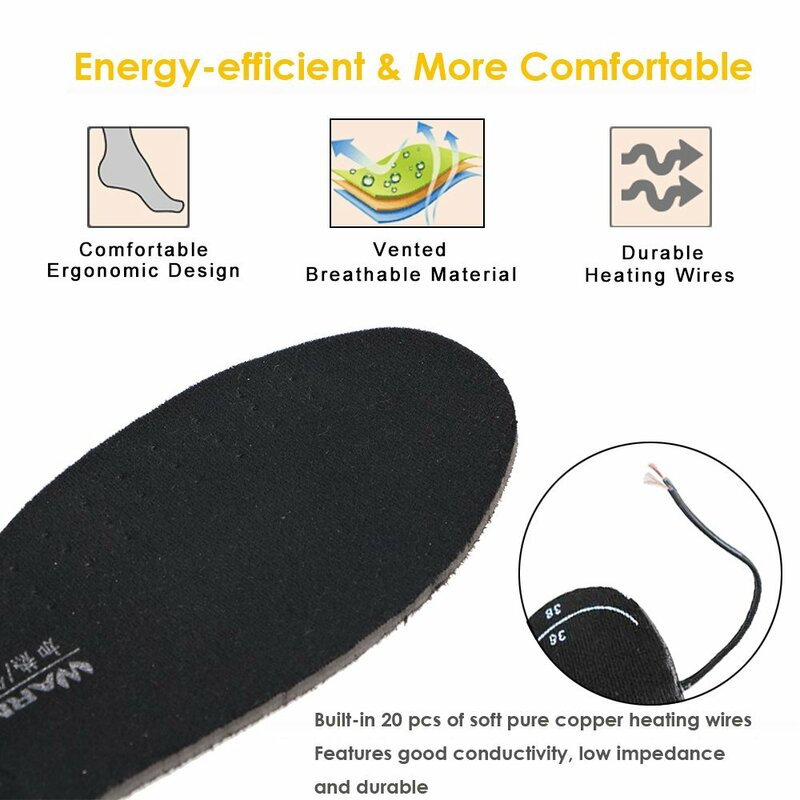 These heated insoles sold be Sweet Mall are cheaper than most electric heated socks, and can do the job well regardless. 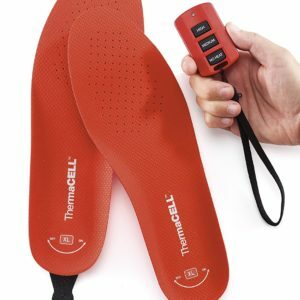 The product features rechargeable lithium-ion batteries mounted to your ankles. Batteries can be charged with your computer’s USB, mobile phone AC adapter, or the included AC adapter. Fully charged batteries can generate heat for 2-4 hours depending on temperature. 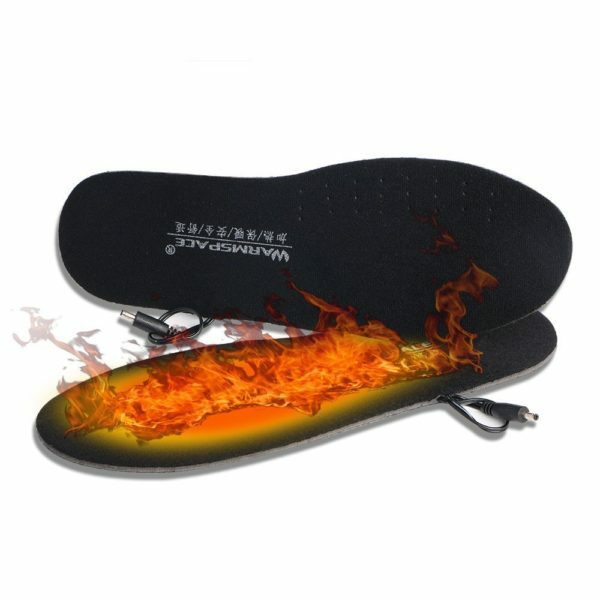 These heated insoles can be cut into any shoe size (US 7.5 to 12). You can easily cut the insoles to fit any footwear which is of course an important feature. This product is washable and reusable, but do not machine-wash. Heated shoe insoles by Warmspace are made from soft elastic EVA-foam that can be bent by 180 degrees, offering great flexibility for any outdoor activity including sports. They’re approximately 0.19 inches thick. You can always remove the existing insoles in your boots in case your feet are too tight, especially if wearing thick thermal socks in tandem. Insoles can be easily placed in regular boots, but also in sneakers, running shoes, or even football boots. 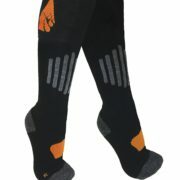 Many heated socks on the market will heat your front instep. 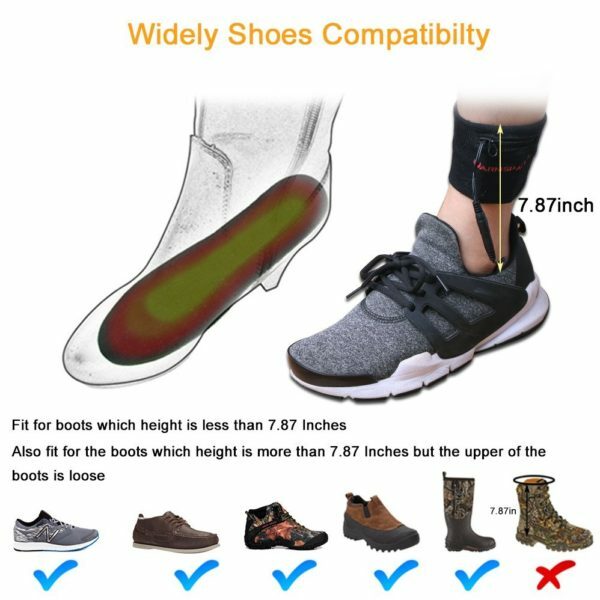 Electric insoles go under our foot and will warm up the area you need the most, making them often a preferable choice or an excellent combination with electric socks. I bough these for my wife who always complains of cold feet. The first time she tried them she unplugged them after about 15 min because her feet were too warm. She was able to leave them unplugged for the next hour or so and she said her feet were still warm so they must provide some insulation as well. She is very satisfied so far. The heat runs the full length rather than just at the ball of the foot which is nice. I only use these when I go for a walk on my lunch break. They are only “on” for about a half hour so I can’t comment about how long the batteries might last. They are pleasantly warm and keep my feet from freezing while I’m on a walk. 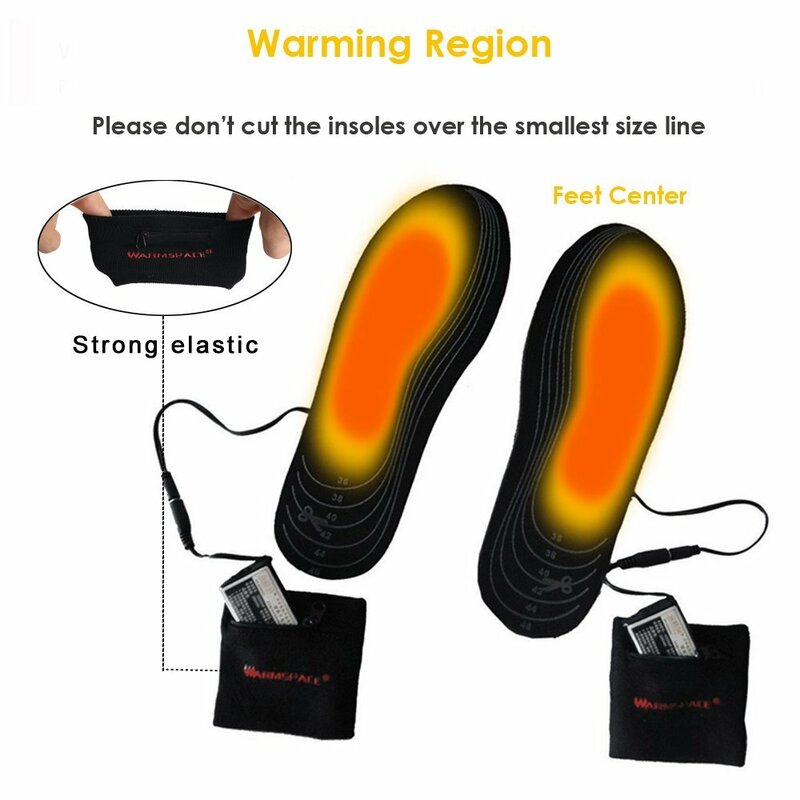 The heated portion of the insole seems to be just about the center, under the arch of my foot, and my only complaint is that it doesn’t extend more toward the toes. It’s my toes that get cold more so than the rest of my foot so that’s why I’m only giving these three stars. I love these! I have neuropathy which is unbearable when my feet get cold. 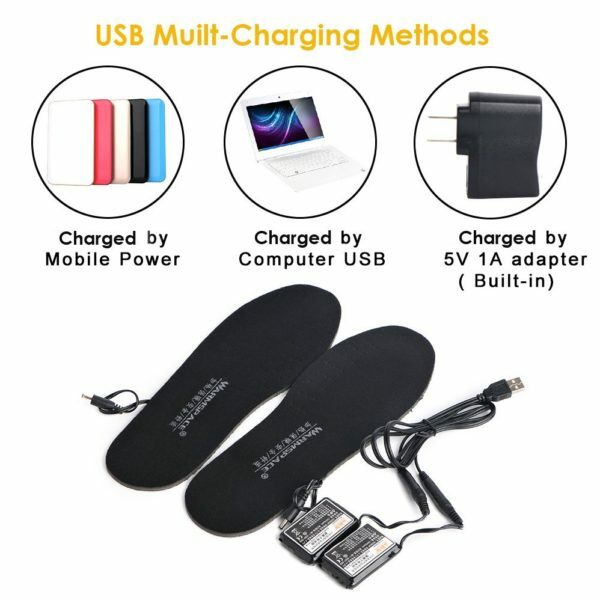 These charge quickly and keep my feet warm for at least 4 hours. Wish the cord was longer and that the battery holder was large enough to wear on my ankle. I have Reynaud’s, so I can’t be out in even slightly cold temps without loosing the circulation in my toes. These are a lifesaver! They last a few hours and keep my feet warm, even when standing on snow. When standing inside for a prolonged period with them turned on, my feet get HOT! Used about 2 months and now 1 isn’t working. They did not heat as well as I thought they would. 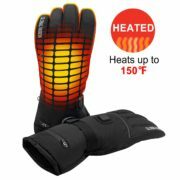 Bought these to keep my feet warm in my extremely, cold barn. I wear 1000 gram thinsulate, boots, in the barn and was getting frostbite. These are simple to install and work just fine, as long as you are going to be out, for only 2, maybe, 3 hours. I spend two hours, at a time, working, in my horse barn and these do the trick. I recharge them when I come inside and they are ready, for the evening trip, 2 more hours, to the barn, in the evening. For simplicity and easy installation, there are well worth the money. Female, 105 lbs, size 9 work boot. I read a review about someone pulling the wires and breaking them so I am very careful and they have lasted almost two months, at this point. The soles never warm your feet. I agree that the foot warmer gets a little warm, but not warm enough to make your toes feel warm in the cold. Im talking 30 degrees F and the foot warmers just dont do the job. I get they cant make the soles too hot or your feet will sweat too much and make you even colder but they just dont warm the feet, maybe heated insoles just wont work regardless of where you buy them. Battery lasts about 3 hours. the insoles are a foam but that foam compresses after a month of use and doesn’t retain its thickness. 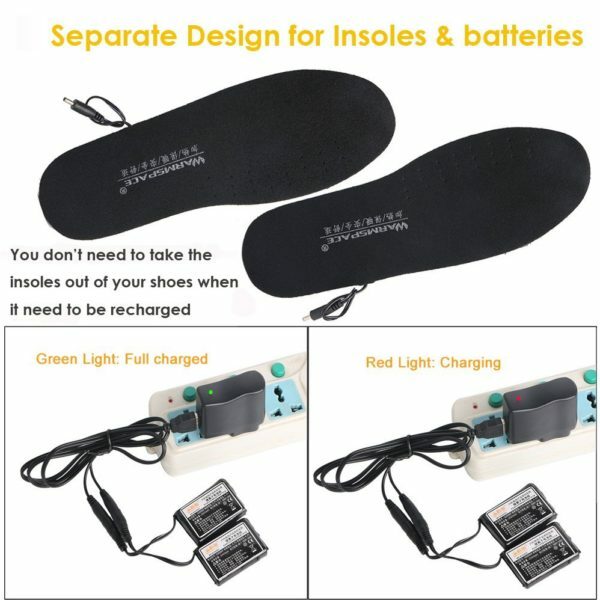 The insoles are not uncomfortable though, I hardly notice them other than the wire that connects to the battery. 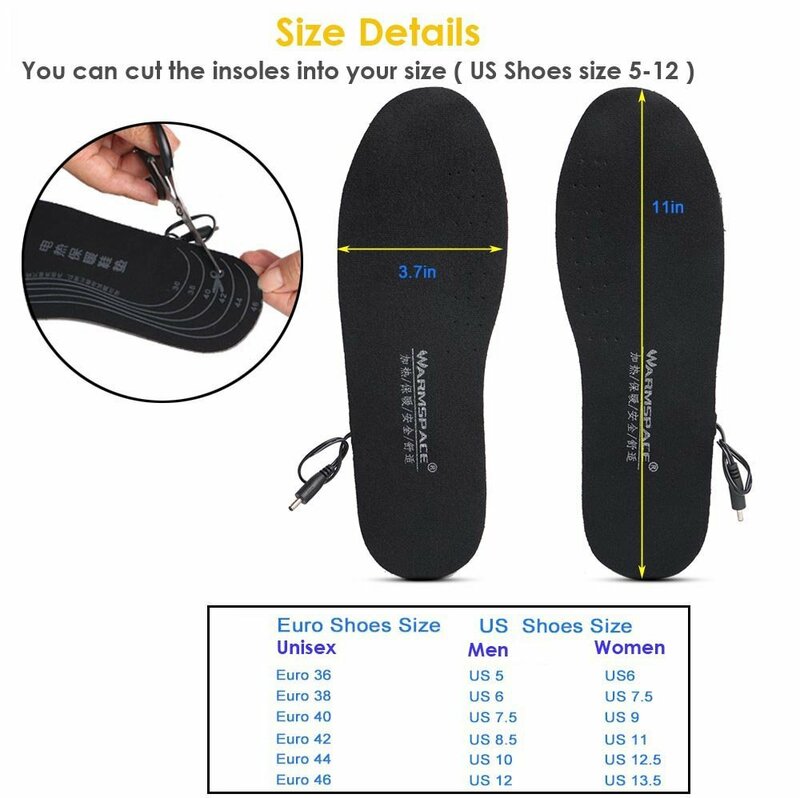 These insoles are a great idea and i wish they were effective in fighting cold feet. Bought for late season bow hunting in far northern MN. Worked, to keep cold at bay, but not powerful enough warmth to really feel much more than adequate. Sat in legit -20f (-40f windchill) in December and these heated soles did the job (barely) pairss with my Irish Setters (800g thinsulate) and very good wool socks. Good value, not excellent. The fact that on/off is reliant on battery connector being connected/disconnected is a bit cumbersome, because accessing the connectors is not easy when you are geared up with the wardrobe layering required for late season stand hunts. Doable but a bit of a pain. Heats up quickly. Almost gets a little too warm. Easy to cut to fit. They keep your feet warm if your feet are already warm. However if you wait to put them on when your feet are cold, then they don’t really warm them up. I used these for my winter cycling commute. They helped keep my feet warm even when the temps dipped below 0. The batteries last about 1.5-2 hours. Much less bulky than the chemical warmers. Be careful when trimming them. Once your cut it off, you can’t put it back on.